The global mobile virtual network operator (MVNO) market is anticipated to grow at 11.3% CAGR during the forecast period, reaching USD 113.1 billion by 2024. The MVNO market is witnessing significant growth due to the increasing internet penetration and the growing number of smartphone users across the globe. Moreover, intensive competition among telecom operators to provide low-cost call and data services supports the growth of the global market. On the basis of the operation model, the mobile virtual network operator market is segmented into reseller MVNO, full MVNO and service operator MVNO. Among these segments, service operator MVNO is expected to witness the fastest growth during the forecast period as it offers immense revenue network growth opportunities for enterprises by setting tariffs independent of retail prices. On the basis of end-user, the MVNO market is segmented into consumer and enterprise. Among these two segments, the enterprise's segment is expected to witness higher CAGR during the forecast period as these networks are operators find enterprise market lucrative due to the high compliance and long-term relationship with the enterprises. The rapid adoption of innovative services such as mobile money and machine-to-machine (M2M) transaction is the key trend observed in the MVNO market. Furthermore, technological advancements such as cloud computing and big data analytics are further expected to fuel the demand for the technology worldwide. MVNOs avails convenient and affordable mobility possibilities for various industries such as entertainment, lifestyle, and productivity that are helping the business enterprises to enhance their revenue. The extensive utilization of advanced devices and increasing speed of network are the major factors that is driving the growth of the global market. These factors have increased the utilization of data application such as internet browsing and video streaming. 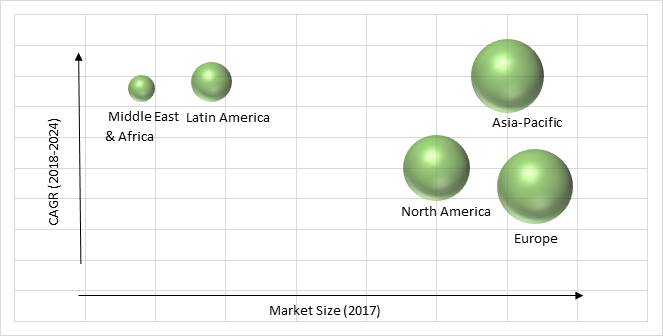 Moreover, substantial investments are being undertaken in order to improve network coverage and mobile broadband connectivity that is significantly bolstering the growth of the MVNO market across the globe in the near future. Moreover, the benefits provided by the technology to the customers such as voice services and low-cost data are attracting more customers towards these services. Furthermore, mobile network operators (MNOs) are making significant investments done by the key players towards maintenance and progression of prevailing infrastructure is other factor pertaining towards the growth of the MVNO market globally. Increased operational cost and reduced average revenue per user for MNO is expected to hamper the growth of the MVNO market. Globally industry players are leveraging market growth through various strategic developments, partnerships, mergers & acquisitions and collaboration with several other enterprises that are helping the key players operating in the MVNO market, globally, to gain competitive advantage and hence provide improved services to its clients. Geographically, Asia Pacific is expected to witness the fastest growth during the forecast period. The growth of the MVNO market in this region is attributed towards extensive growth of the telecom industry. Moreover, the developing countries of this region such as Myanmar, India, China, and Vietnam are accrediting efforts towards modernization and expansion of telecommunication amenities. According to a recent report, it has been observed that in Japan MVNOs avail services such as remote supervision of online gaming, vending machine, surveillance, and M2M. Additionally, these services also provide voice-enabled services for monitoring patients in the healthcare domain and in security applications. Active support from MNO and promising supervisory policy is further driving the growth of the MVNO market in Asia-Pacific. Europe is the major MVNO market and is predicted to witness considerable growth during the forecast period.